Hair loss zaps confidence and thinning hair often makes people feel subconscious of their looks. The style, colour and style of our hair affects our emotional well-being. When hair thins or there is hair loss, you can become more susceptible to treatments and remedies that strongly suggest they have the ‘magic answer’. Within weeks or months, they promise, you will once again have luscious locks. There are very few, if any, ‘magic’ remedies that quickly restore hair loss or bulk up thinning hair. 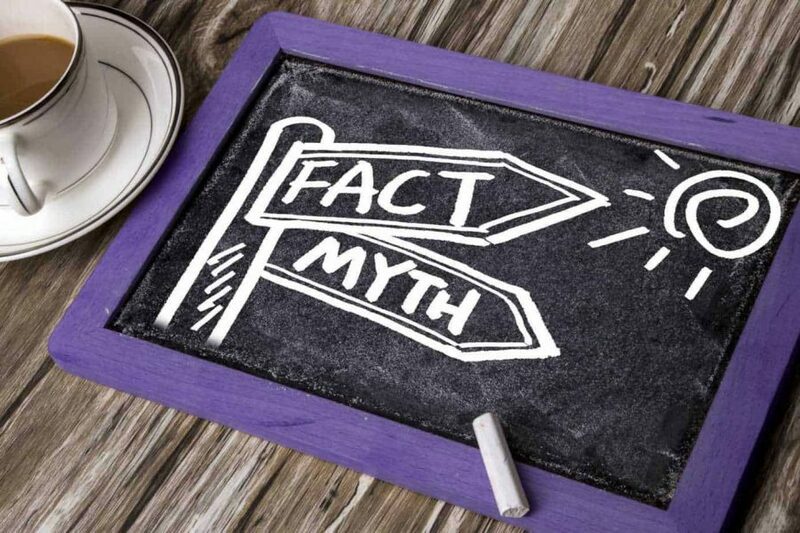 Here, we explore some of the myths. Like most myths, this is not based on any evidence. Men who notice a bald spot or receding hairline think that by having their head, their hair will grow back thicker. Bald spots and thinning hair is a sign that follicles are shrinking. Cutting is hides the problem, rather than fixing it. There are many things that are genetically inherited and baldness is one of them BUT, it can be inherited from either your mother or father’s side of the family. There are other factors that contribute to hair loss too. Again, this is a myth not based on fact. Hair is lost daily through washing and brushing. Up to 100 strands of hair can be lost during washing and is nothing to worry about as new growth replaces this. If, however, think you can see your scalp through your hair, seek professional advice. For a long time, a receding hair line, thinning hair and baldness were seen to be something that people had to accept. Your dad was bald by the time he was 30/40/50 etc. is not an excuse for you to suffer the same fate. The advances in professional, medical treatments to reverse baldness and bulk out thinning or receding hair lines are phenomenal. This is probably a well-intentioned myth but IQ does not directly correlate with hair loss. The theory possibly emerged as a means of encouraging people struck low by baldness and so on that they brain activity was super-smart and thus, impacting on hair follicles. There are treatments and procedures that can help with baldness, hair thinning and a receding hairline. But only at the hands of professionals, and not in a bottle that promises luscious locks in a month. Why not contact The Wimpole Clinic to explore your options?